If you believe your home may be eligible for a reduction in property taxes based upon a decline in value, there are two ways you might proceed: an Informal Review by the San Francisco Assessor’s office and/or a Formal Appeal with Assessment Appeals Board. The Formal Appeal, in particular, can be a complicated and time consuming process. Generally speaking, homes purchased 2005 through 2008 (the time of peak values in most SF neighborhoods) have the best cases for a property tax reduction. Declines from peak value in the city generally range from 12-25%, though it all depends on the exact time, location and terms and conditions of your purchase. If your appeal is successful, the reduction in assessed value only applies to the 7/1/12 – 6/30/13 tax year. A decline-in-market appeal is only good for 1 year, the year for which it is filed. If you need help gathering comparable sales data with which to make your case, let me know. You may also hire a professional appraiser. The Assessor’s “valuation date” is January 1, 2012, so the nearer your comparable sales are to that date, the better. 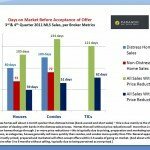 However, all sales comparables submitted must have closed before March 31, 2012. Since policies, procedures and forms may change, please verify all information contained herein directly with the appropriate governmental agency. The SF Assessor’s Office has announced that they will now accept “Requests for Informal Review of Assessed Value” for tax year 2012/2013. Such requests must be filed by March 31, 2012 and apply only to single-family dwellings, residential condominiums, townhouses, live-work lofts and cooperative units. REQUEST AN INFORMAL REVIEW (single family dwellings, residential condominiums, townhouses, live-work lofts and cooperative units only) – From January 3, 2012 to March 30, 2012, the Assessor will accept requests to review the market value of your property. Your request must be in writing by completing an on-line application with supporting evidence of your opinion of value. If you were granted a reduction for the year 2011-2012, we will automatically review your assessment for the year 2012-2013 to determine whether a reduction is still warranted. Please send mail-in requests to: Assessor-Recorder, ATTN: Informal Review, 1 Dr. Carlton B. Goodlett Place, City Hall – Room 190, San Francisco, CA 94102. Mail-in requests for an informal review must be U.S. postmarked by the March 30, 2012 deadline. By Fax: (415) 554- 7915 or E-mail: InformalReviewRP@sfgov.org. Be sure to keep a copy for your records. FILE AN ASSESSMENT APPEAL (All property types) – From July 2, 2012 to September 17, 2012 you may file an Application for Changed Assessment with the Assessment Appeals Board (AAB), an independent body established to hear and resolve valuation disputes between the Assessor and taxpayer. A $60.00 filing fee due at the time of application and the AAB will schedule a hearing for you at a later date. Applications may be obtained by contacting the Assessment Appeals Board – Clerk of the Board at 1 Dr. Carlton B. Goodlett Place, City Hall – Room 405, San Francisco, CA 94102, by phone: (415) 554-6778 or directly from their website: www.sfgov.org/AAB. Yes. If upon the receipt of your annual Notice of Assessed Value, which will be mailed at the end of July 2012, you disagree with the assessed value, you can file an assessment appeal with the Assessment Appeals Board. Please see instructions above. The Assessor is required to enroll the lesser of your factored base year value (assessment) or the market value. For example, if the market value (what you could sell your house for) of your property as of January 1, 2012 is $500,000 and your assessed value is $200,000 the Assessor would enroll the $200,000 as your taxable value. You would not qualify for a lowered assessment. The assessed value being appealed will cover the fiscal year from July 1, 2012 to June 30, 2013. You will need to submit sales information and/or an appraisal performed by a licensed real estate appraiser to support your claim. The sales information or appraisal’s date of valuation should be near the January 1, 2012 lien date but no later than March 31, 2012. Unlike residential condominiums and cooperative units, TICs do not have separate parcel numbers. A review of a single TIC unit is more complex. TIC owners can appeal their taxes by filing an Application for Changed Assessment with the Assessment Appeals Board beginning July 2, 2012 thru September 17, 2012. Homeowners will be notified of the results of their informal review in the annual Notice of Assessed Value which will be mailed at the end of July 2012. The next open formal appeal filing period for San Francisco will be July 2, 2012 to September 15, 2012 — to appeal the 2012/2013 assessed value of your property. A formal appeal can be made for multi-unit and commercial properties, as well as for regular residential housing units. There is a non-refundable $60 processing fee and an additional hearing fee, which typically runs $50 to $100 for SF residential properties. Since they are open to the public, it is possible to attend the assessment appeals board hearings of other people to see how they work. All information herein is from sources deemed reliable but is subject to change, error and omission, and not warranted. Interested parties must contact the appropriate government agency to verify and confirm all pertinent guidelines and procedures. It seems to be part of the human condition that financial and real estate markets go in cycles. What’s interesting is that when the cycle is on the upswing or a bubble is inflating, how vociferous the opinions are that the upswing will never end; and how after the crash, how many then insist, often with great virulence, that the markets will never improve again in our lifetimes. We see variations of this forecasting certitude constantly from those emotionally or financially invested in a certain viewpoint, not to mention bloggers and media with infinite white space to fill – and, of course, real estate agents often do this as well. However, most of the time, one must simply wait and see how the cycles turn in their own time and circumstances, and turning points are best perceived in retrospect. 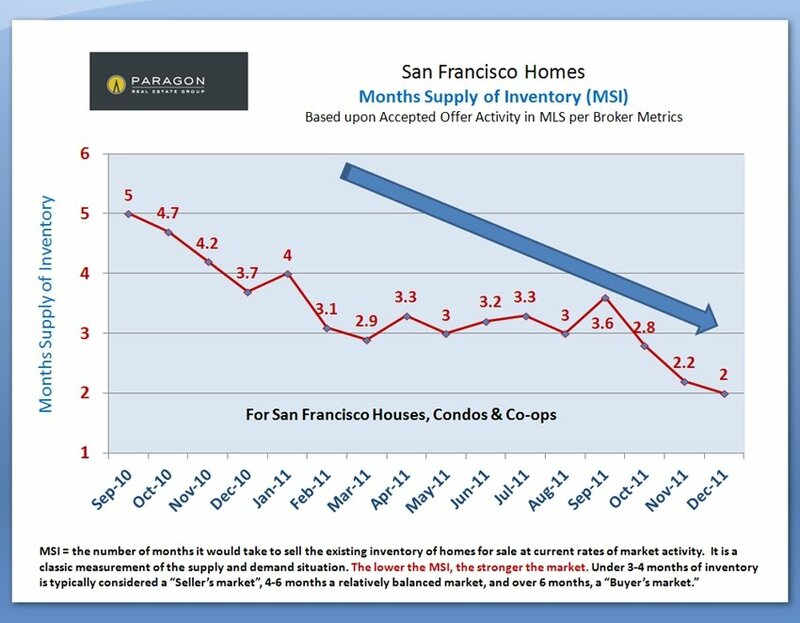 All this leads to our point: absent some new natural or economic disaster – which is certainly possible – it appears that San Francisco real estate began turning the corner on the latest down cycle in 2011. Two and a half years following the financial markets crash, the dynamics in the city started to change early last year: prices seemed to have bottomed out and stabilized, Bay Area and city economic conditions started to markedly improve, distress home listings began to decrease, interest rates hit new lows, SF rents increased, vacancy rates dwindled, builders started moving forward on new projects, general optimism grew (most dramatically in the last quarter) – and optimism plays a huge role in turnarounds – and the financials of home buying made more sense than they had in many years. 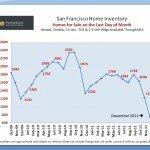 Indeed in 2011, the biggest story regarding the SF homes market was the drastic lack of inventory – typically 35-45% below the previous year – which was inadequate to satisfy surging buyer demand. Historically, according to the laws of supply and demand, this begins to put upward pressure on prices – which is what we’ve been beginning to see in some of our neighborhoods. It should be noted that San Francisco often behaves differently than other markets and recovers more quickly, and also that within the city itself, the markets in different neighborhoods can move at different speeds or even, for periods of time, in different directions. 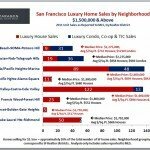 There is a link at the bottom of the newsletter to far more detailed analyses of the SF market by neighborhood, property type and bedroom count. There are also definitions and caveats regarding the statistics used below. Statistics are generalities that may fluctuate for a number of reasons. All data herein is from sources deemed reliable but may contain errors and omissions and is subject to revision. 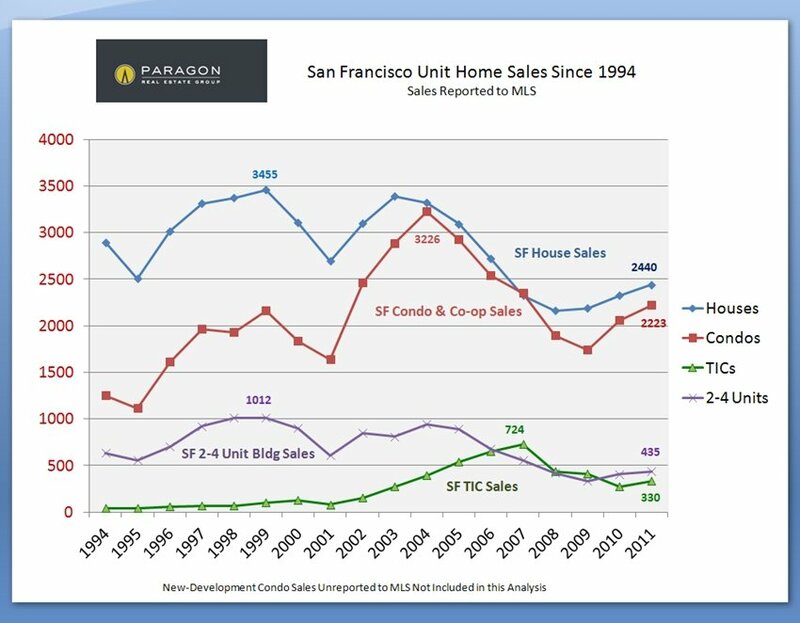 These charts do not include sales not reported to MLS, such as occur in some new-development projects. How any statistic relates to the value of any specific property is unknown without further analysis. 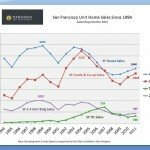 The number of sales as reported to MLS climbed about 7% in 2011 from 2010, bouncing back from the trough of 2009, though still far below the peak years. 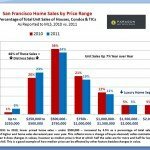 All SF property types saw increases in sales. However, if inventory had not been so drastically low all year long, the increase in unit sales would certainly have been much greater. 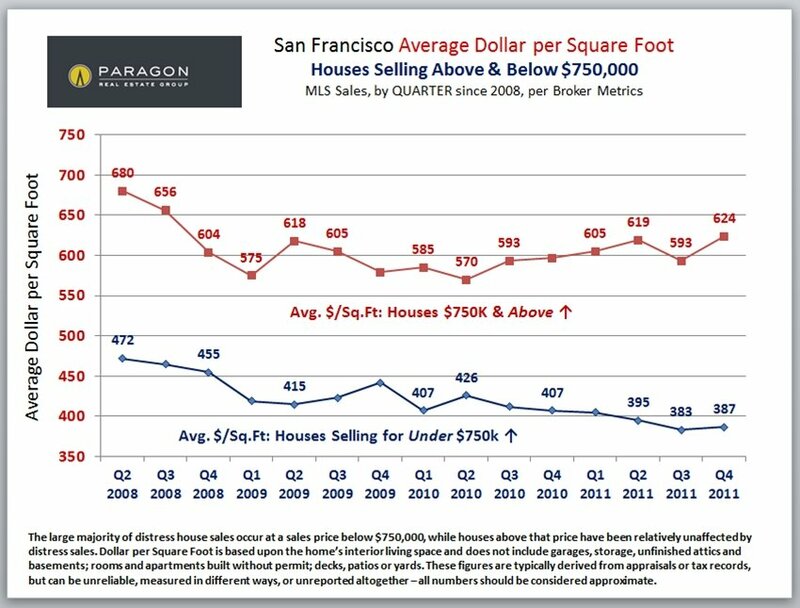 Looking at the last 6 quarters, we see a very gradual increase from mid- 2010 of average-dollar-per-square-foot values for SF houses of $750,000 and above, except for the hiccup which occurred during the 3rd quarter of 2011 when the European debt crisis and the U.S. debt limit boondoggle greatly increased financial anxieties. The latest quarter saw the highest value, by a tad, since 2008. 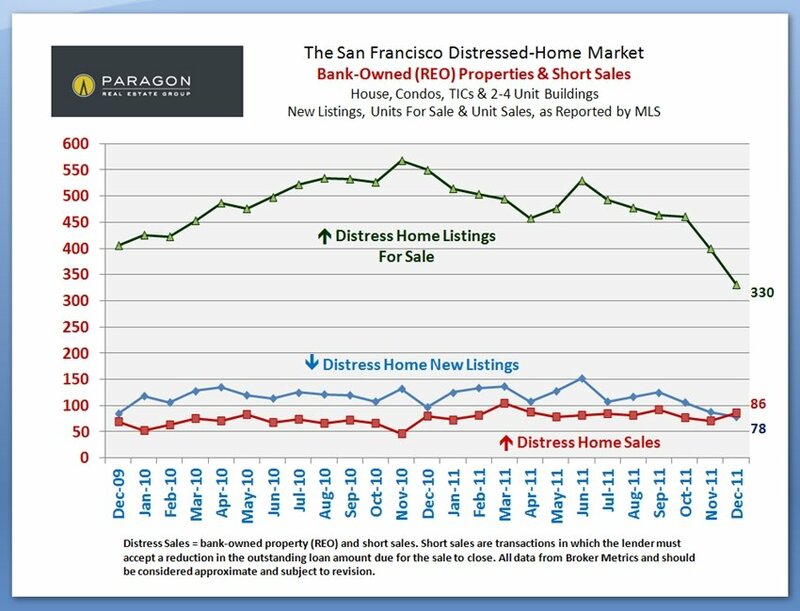 This chart also shows how the market is divided between the lower-priced housing segment (for SF) hard hit by distress sales and the mid-to-high priced segment which has been little affected by distress sales. Remember that quarterly fluctuations of average and median figures are not particularly meaningful – what are important are consistent longer term trends. The main 3 residential property types in the city have been hitting their highest percentages in recent memory for listings going into contract (accepting offers). This is a very clear graphic of the dynamic of very strong buyer demand meeting a very low inventory of homes available to purchase. The dip in the third quarter was, as mentioned, probably due to the burst of financial markets anxieties that occurred over the summer. This chart shows the enormous difference that proper pricing, preparation and marketing make in achieving the highest sales price in the lowest amount of time. Most of the homes that do sell actually accept offers relatively quickly at very close to, or even a little over, the list price. 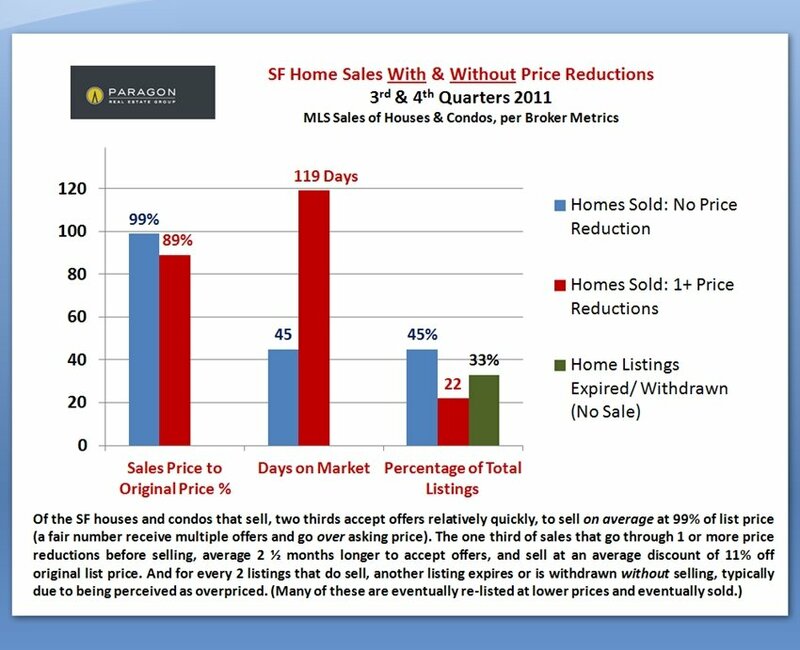 About half as many sell after price reductions, with big discounts on list price and large delays in closing the sale. And then, even in a market of strong buyer demand, about a third of listings expire or are withdrawn without selling, typically due to being perceived as overpriced. MSI measures how long it would take to sell the entire inventory of homes currently for sale, at existing market-activity rates. The lower the MSI, the stronger the demand as compared to supply: We don’t recall ever seeing overall MSI rates this low. As a comparison, the MSI in the United States as a whole right now is 7 months. In certain SF market segments, the MSI is down to 1.5 months or lower. In the 4th quarter, there was a story of one listing, admitted egregiously underpriced, receiving 26 offers – which gives an idea of the level of unsatisfied demand in some neighborhoods. This chart tracks the number of homes listed as available on MLS on the last day of each month. It is true that inventory always plunges during the holidays and then starts to recover in January, but throughout 2011 the number of homes available to purchase in any given month has been far below the levels of previous years. And if one factors in the huge decline over the last few years in new-development condos on the market, it looks even worse. Inadequate to buyer demand, this has led to an increase in multiple offers and buyer stress — and increasing values in some of the city’s neighborhoods. Homes selling for $1,500,000 and above make up about 10% of San Francisco’s sales and this is a snapshot of where they occurred by neighborhood and property type. For houses, the biggest prices still come in the Pacific/ Presidio Heights area, where one mansion on Broadway sold for $29,500,000. For condos, the highest dollar-per-square-foot figures are found in Russian Hill and South Beach for luxury units with astounding views: a penthouse in the St. Regis in South Beach/ Yerba Buena sold for $28,000,000. 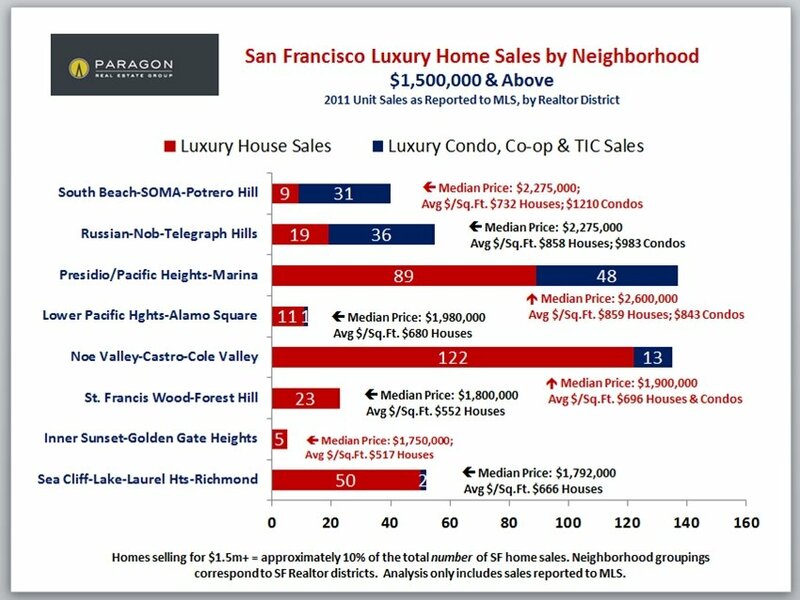 But in number of sales, the central Noe Valley/ Castro/ Cole Valley district has grown immensely over the past 10 years and is now firmly established for a particular type of affluent buyer, many of whom want easier access to Silicon Valley. 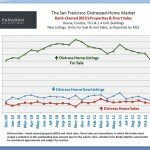 As a percentage of sales, distress home sales peaked in January 2011; overall, they made up about 20% of total unit sales last year, but were largely clustered in certain neighborhoods, often in the less affluent areas of the city, and in the lower price ranges. To a large degree, they have not impacted values in many of the city’s more affluent central and northern districts. 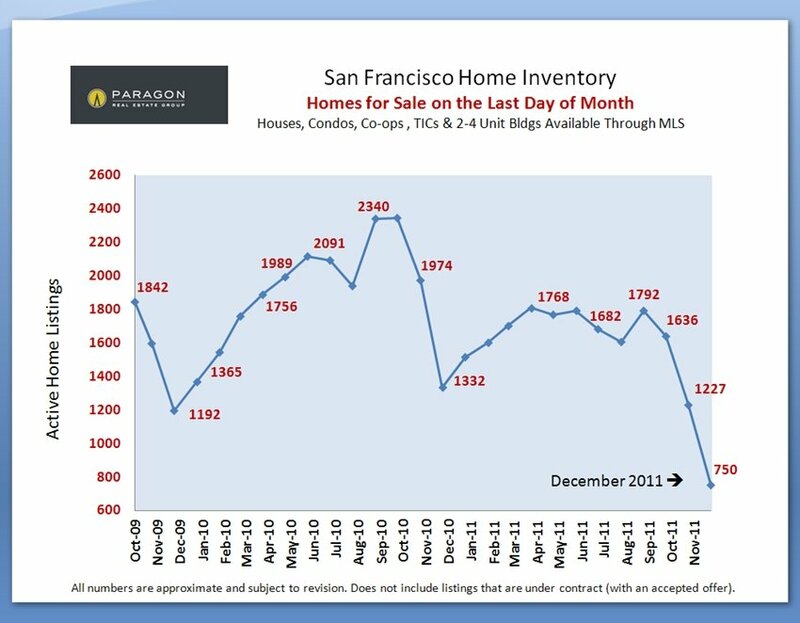 As seen here, the number of such listings has been markedly declining in 2011. Compared to other areas of the Bay Area, state and country, SF has been relatively unaffected by foreclosures, and so far the much dreaded “shadow inventory” of foreclosed-upon home listings has never arrived in the city. 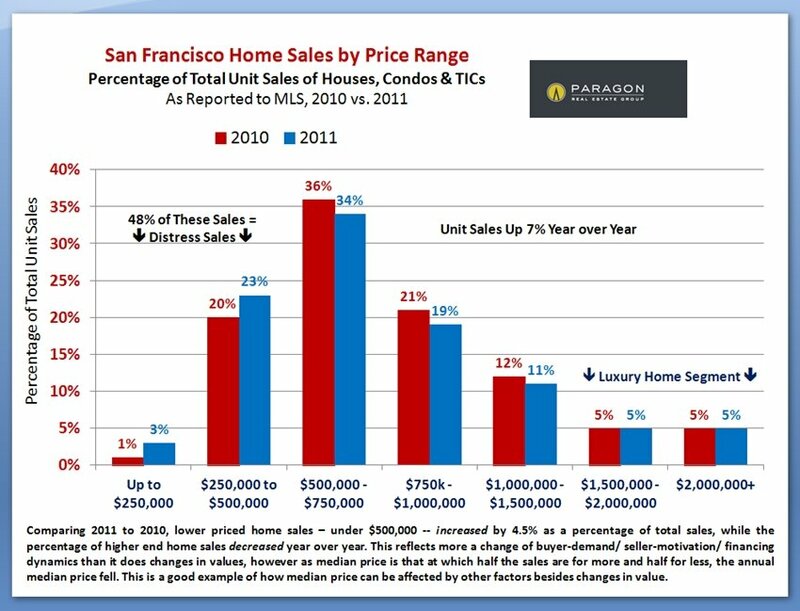 The largest percentage of SF home sales occurs in the $500,000 to $750,000 range. One of the biggest changes over the past few years has been the enormous growth in unit sales in the under-$500,000 price segment, much of which has been driven by distress sales. Even from 2010 to 2011, the lower end price segment has increased as a percentage of sales – and this continues to impact overall median sales price, which is simply that price at which half the homes sold for more and half for less. 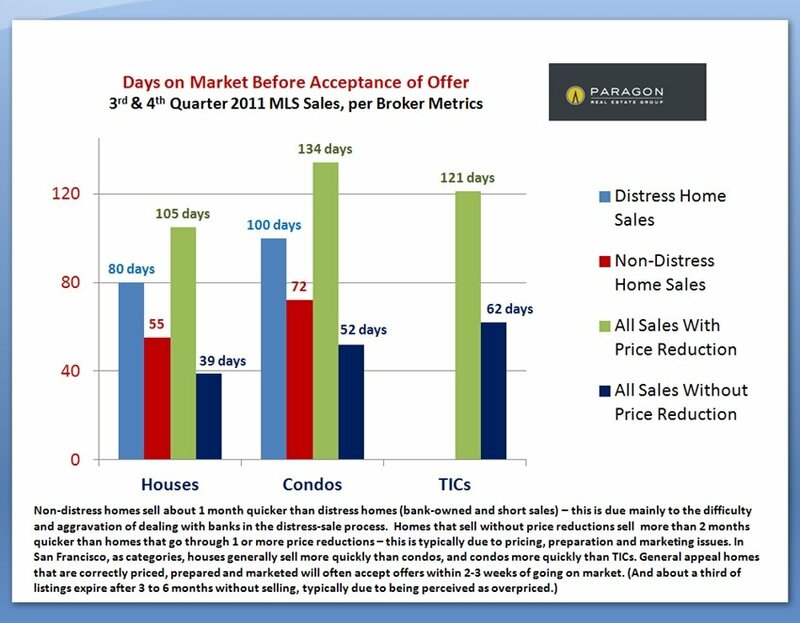 This chart shows the large difference in how long it takes to sell distress homes as compared to regular homes (about a month longer); the effect that pricing, preparing and marketing the home correctly can make in days on market (over two months); and the different speeds of sale for the 3 main residential property types. (Distress sales are not broken out for TICs, because they have been relatively unaffected by foreclosures.) General appeal homes that are effectively priced, presented and marketed often receive offers within 2-3 weeks of coming on market. 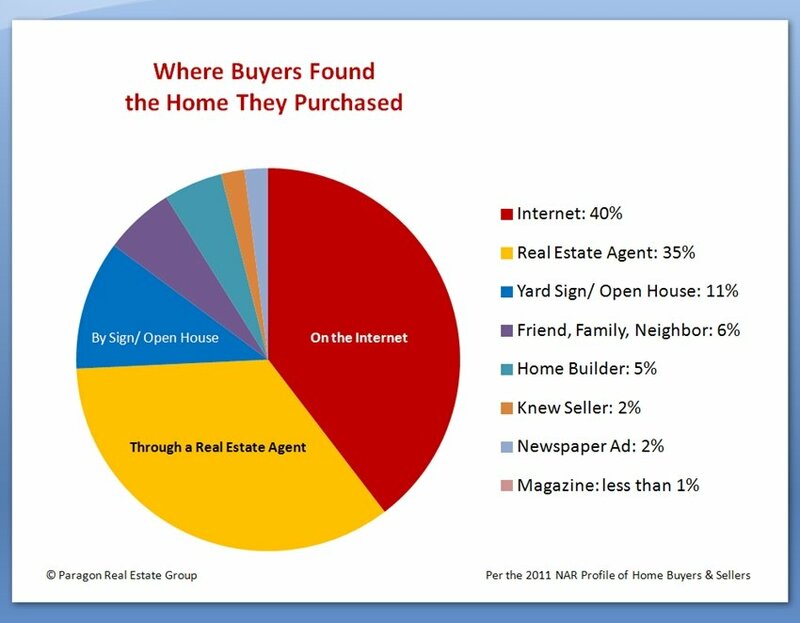 A simple graphic of how things have changed in real estate buying and marketing in the past 10 years. An effective marketing plan has to include very comprehensive components of high-quality online marketing and broker-to-broker marketing – this is what reaches by far the most buyers. Professionally taken real estate photos are now an absolute necessity since they are how most buyers and agents will first see and evaluate your home. (All Paragon listings are photographed by professional real estate photographers.) Effective neighborhood marketing and open houses come next. The value of print advertising in newspapers and real estate magazines has become negligible. 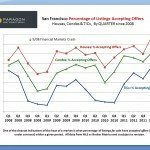 Between the decline in prices since 2007-2008 and the decline in interest rates, the monthly cost of owning the same home has generally declined 30-40% in San Francisco over the past 4-5 years. (Chart below is from Bankrate.com.) Conversely, SF apartment rents have been increasing lately (especially due to the growth of high-tech employment). One of the standard ways economists evaluate whether a real estate market is correctly priced or not is by comparing the cost of renting vs. the cost of owning the same home. This equation has gone through a huge change since 2008. Statistics without informed context are usually worthless, easily manipulated and often misleading. One can make virtually any case — positive or negative — by choosing a single average or median statistic relating to a short period of time and a small data set, and then cherry picking what you’re comparing today’s data to (last month, last year, or the peak of the market). 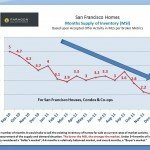 Conversely, too large a data set may be misleading: the overall national trend may misrepresent California’s, and the state’s can be different from the Bay Area’s, the Bay Area’s from the city’s, and within San Francisco itself, distinct neighborhoods are often different markets going in significantly different directions. 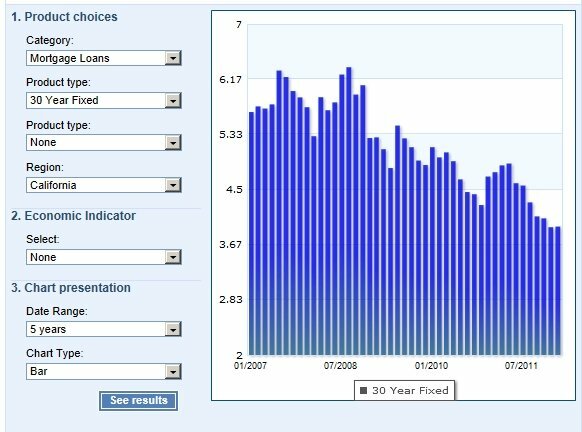 In particular, absent some huge economic event, such as the September 2008 financial markets meltdown, monthly fluctuations in median home sales prices are usually meaningless. Median prices often fluctuate up and down within a 5 to 10% range from one month to the next, even in stable markets. One can only be sure market values are trending up or down if that trend is consistent over the longer term, minimally 4 to 6 months. Any definitive trend in prices and values should also be reflected in other market statistics such as average dollar per square foot, days on market, months’ supply of inventory, percentage of listings accepting offers, percentage of distress sales, and so on. 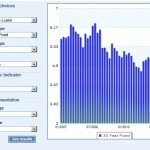 When assessing market changes calculated by computerized algorithms using very general data sets – such as Case Shiller’s or Zillow’s — one should be clear on the details. For example, the Case Shiller Index for “San Francisco” reflects an analysis of a “metro area” comprising 5 counties with wildly varying markets (Pinole to Pacific Heights). 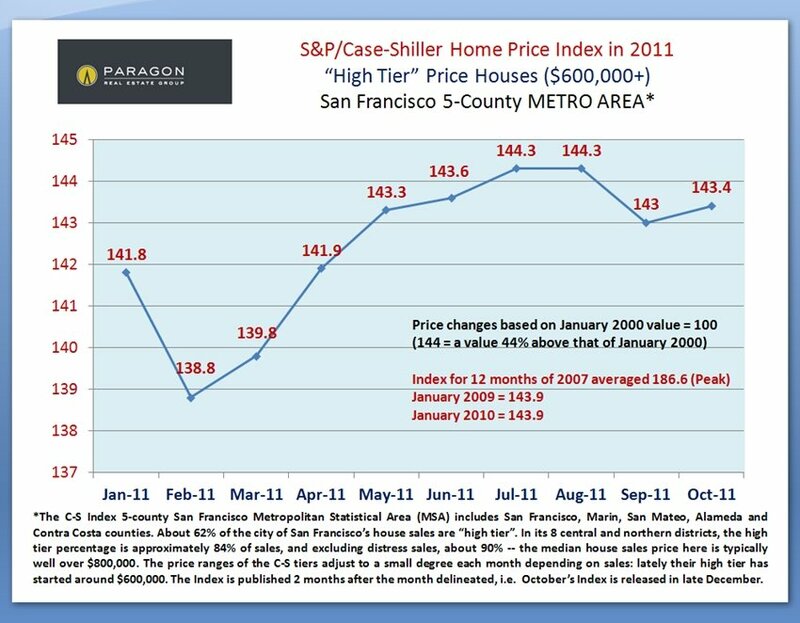 And for the city of San Francisco, one should look at the Case-Shiller “High Tier” price Index, not the general Index. It also makes sense to assume a sensible margin in error. As an egregious example, Zillow’s property valuations usually build in a 10-25% margin of error on either side of their “Zestimate” of value. 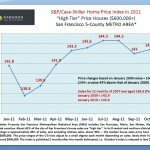 A 1-3% value change indicated by the Case Shiller overall home Index for the SF metro area, then applied by a commentator to condo values in SOMA or house values in the Marina, should be taken with a grain of salt. Always look for consistent, longer term trends across a wide range of market quantifying statistics. 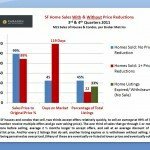 MEDIAN SALES PRICE is that price at which half the sales occur for more and half for less. It can be, and often is, affected by other factors besides changes in market values, such as short-term or seasonal changes in inventory or buying trends. The median sales price for homes (in all their infinite variety) is not like the price for a share of stock (all the same), and monthly fluctuations in median price are generally meaningless. If market values are truly changing, the median price will consistently rise or sink over a longer term than just 2 or 3 months, and also be supported by other supply and demand statistical trends. AVERAGE SALES PRICE is calculated by adding up all the sales prices and dividing by the number of sales. It is different from median sales price, but like medians, averages can be affected by other factors besides changes in value, such as fluctuations in average unit size. Averages may also be distorted by a few sales that are abnormally high or low, especially when the number of sales is low. 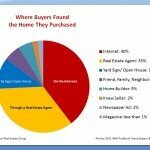 Average sales prices are usually higher than median sales prices. DAYS ON MARKET (DOM) are the number of days between a listing going on market and accepting an offer. The lower the average days on market figure, typically the stronger the buyer demand and the hotter the market. 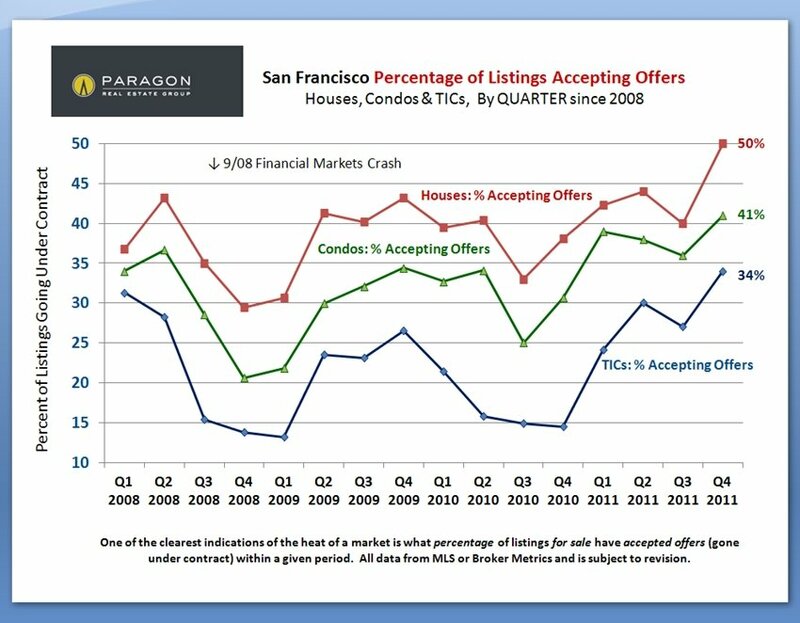 Note that this statistic is distorted by distress sales, which often have a very high DOM, by that minority percentage of listings that sell after multiple price reductions, and by deals that fall through after offer acceptance (the listings come back on market, but the DOM clock keeping ticking). Appealing, well-priced new listings often accept offers within 7 to 14 days of coming on market. DOLLAR PER SQUARE FOOT ($/sqft) is based upon the home’s interior living space and does not include garages, unfinished attics and basements, rooms built without permit, lot size, or patios and decks — though all these can still add value to a home. These figures are usually derived from appraisals or tax records, but are sometimes unreliable or unreported altogether. Generally speaking, about 60-80% of listings report square footage and dollar per square foot averages are calculated on these listings alone. All things being equal, a house will sell for a higher dollar per square foot than a condo (due to land value), a condo higher than a TIC (quality of title), and a TIC higher than a multi-unit building (quality of use). Everything being equal, a smaller home will sell for a higher $/sqft than a larger one. (However, things are rarely equal in real estate.) There are often surprisingly wide variations of value within neighborhoods and averages may be distorted by one or two sales substantially higher or lower than the norm, especially when the total number of sales is small. Location, condition, amenities, parking, views, lot size & outdoor space all affect $/sqft home values. 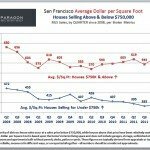 Typically, the highest dollar per square foot figures in San Francisco are achieved by penthouse condos with utterly spectacular views in prestige buildings.